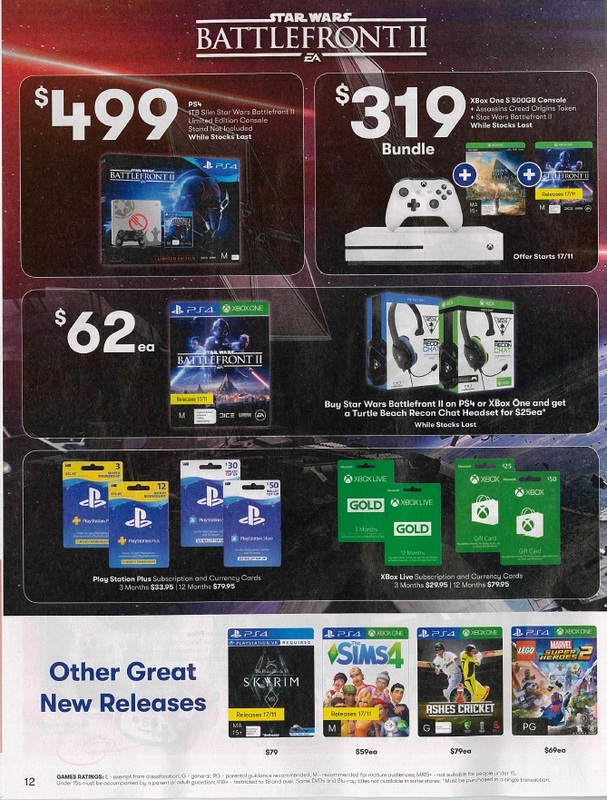 Big W’s upcoming catalogue has a bunch of Star Wars cheapness, but the one deal that stood out is those looking to purchase an Xbox One S. The catalogue will have a 500gb Xbox One S + Assassin’s Creed: Origins and Battlefront II for $319. This definitely looks like the best deal out at the moment if you’re looking to pick up two new release AAA titles. This bundle will definitely ensure that you’re set for a few months with Assassin’s Creed: Origins being a length (and decent game) as well as Battlefront II which has single player and multiplayer elements. It starts on Friday and should be available both online and in store. It’s only whilst stock lasts, so definitely grab it quickly if you’re in the market.